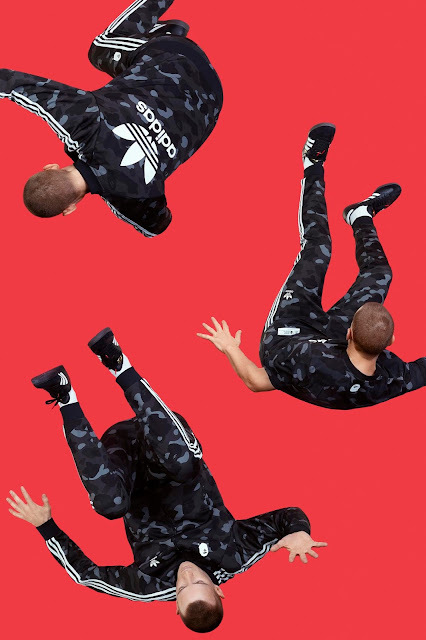 The new collection will include timeless adidas apparel featuring all-over prints based on the BAPE® 1st Camo. 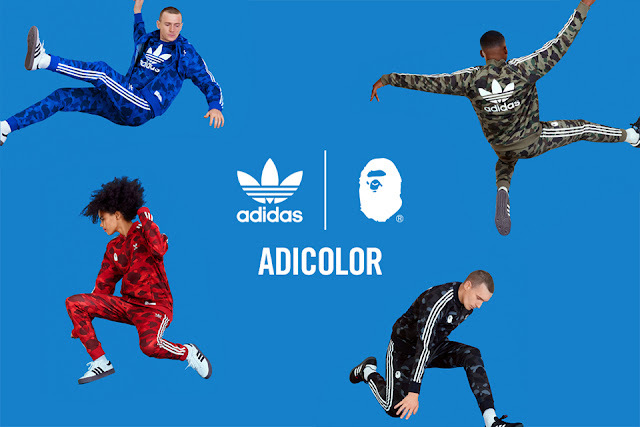 Each item is available in four colourways - red, black, blue and the original green - all exclusively created between adidas and BAPE®. 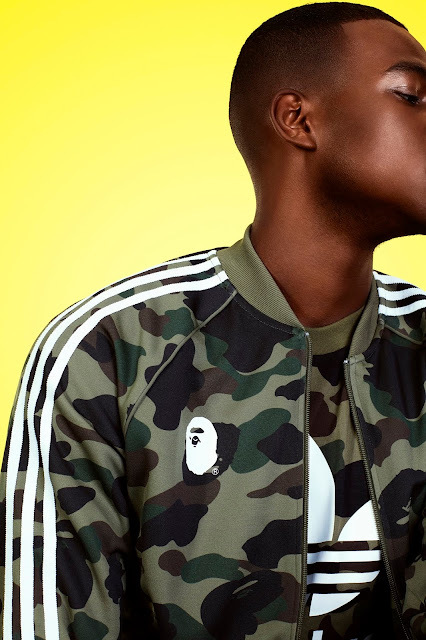 BAPE®'s distinctive element make for a harmonious collaboration with adidas adicolor, fusing bold streetwear iconography and bright sportswear colour. First launched a decade before BAPE® in 1983, the adicolor concept has always acted as a platform for vibrant self-expression, told through a palette of bright, block colors. 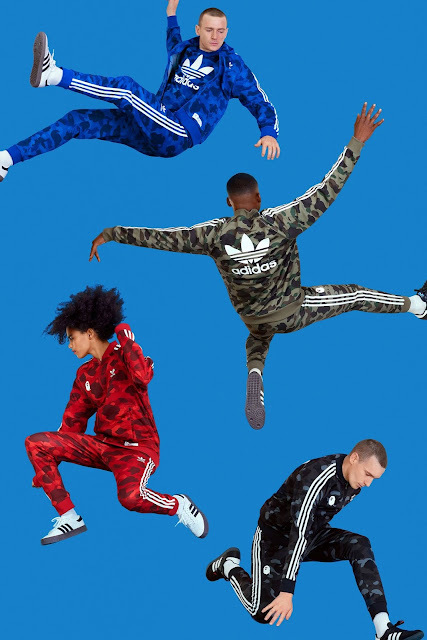 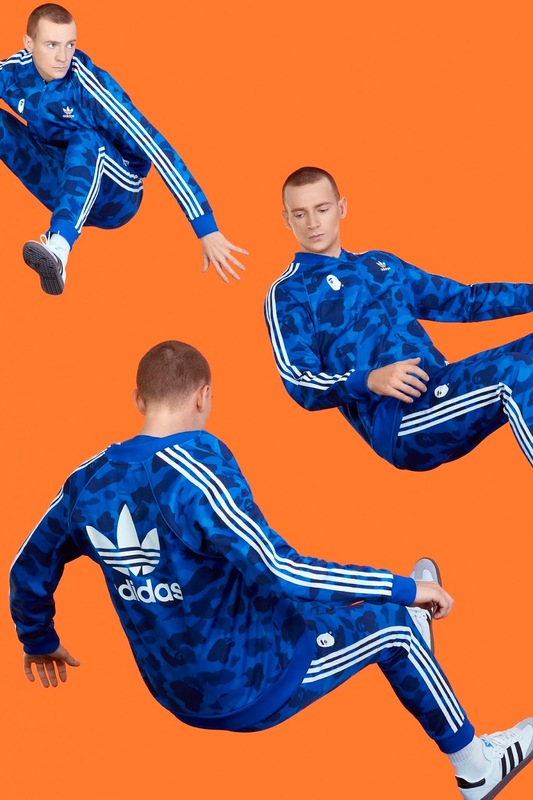 Co-branding is as bold as the colors, with large adidas trefoil logos calling to mind a golden age of the hip-hop scene that BAPE® often draws influence from.